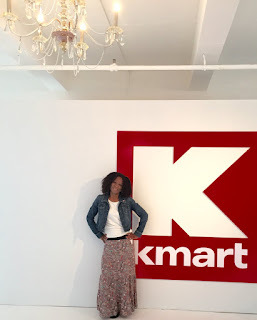 Thank you to Kmart for an invitation to attend the Kmart House Party Home & Product Showcase for the purpose of facilitating this advertorial content. Establish your residential plan of action to ensure everything essential is covered when budgeting for home makeovers and upgrades. Allow your your personal style to define your personal space. Consider duality of purpose in your room arrangement to allow for multi-functionality within rooms. My bedroom also serves as my private tropical paradise, (maybe that's only in my mind). 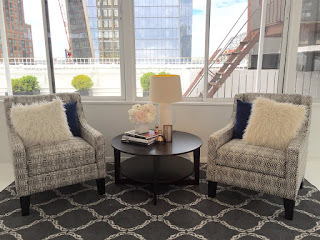 While you may find yourself decorating a space which serves many functions, remember to make certain that you will be comfortable, and that your space showcases who you and even captures who you aspire to be in life. Consider your home as your place to refresh and rejuvenate yourself in order to look and feel your best. 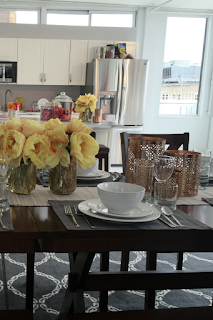 Liven up your environment seasonally with a personal challege to design on a dime. Select colors, textures and accessories complimentary to your sense (and cents) of style. 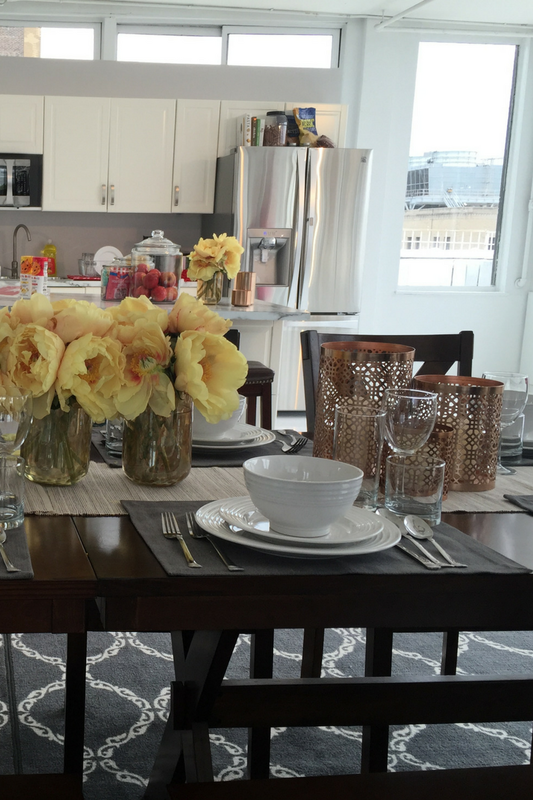 Transform a basic room into a beautiful space, you deserve it! Redefinition of cluttered areas and spaces allows for a fresh, clean perspective of the full potential of your space. Organizing is therapeutic for me as I regain control. Space saving baskets and bins come in a vast assortment of shapes, sizes and colors easily personalized to fit your style. Items that are not in use can be repurposed, donated or simply tossed away. Out with the old and in with the new. If you need another colloquialism for further inspiration, one person's trash is another person's treasure. You're welcome! Create your space with as much or as little flair as you desire, however never at the expense of comfort and convenience. Living in the lavishness of an all white designer showroom sounds ideal, however the reality is crushed by the necessity of having everyone bathed to perfection before kicking their feet up- scratch that, keep those feet on the floor and your shoes at the door. Design your space with relaxation in mind and leave those worries and shoes at the door. Have fun! Give your home decor skills a test run before making a hefty financial investment. Decorate and redecorate with color combos, room arrangement, and lighting as desired within your space and allow your inner creative to reign freely and within your budget. 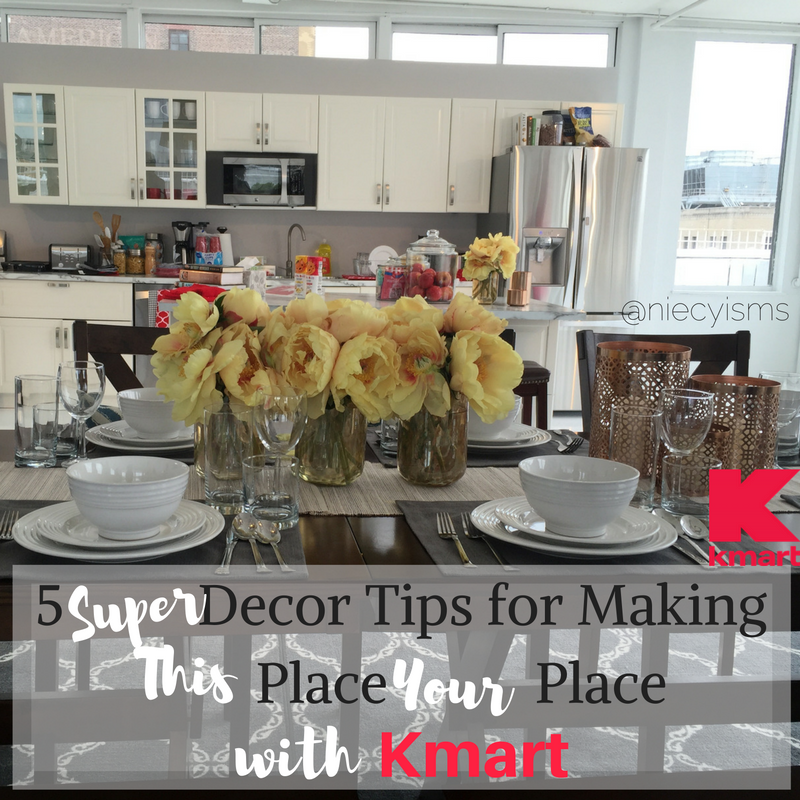 Kmart pleasantly surprised me with an abundance of selections of high quality merchandise to accommodate budgets great and small. Standing out as an innovative, family-friendly retailer, Kmart is showing that life is ridiculously awesome. 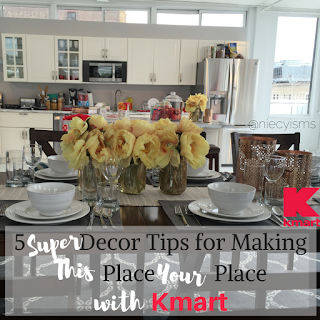 Home décor with Kmart shows how life is ridiculously awesome with convenient shipping options, including free standard shipping on orders of $35 or more at Kmart.com, Shop Your Way® Max Free 2-Day Shipping, Free Anyone, Anywhere Pickup and Free In-Store Shipping.